Healthy teeth tips - Oral hygiene: How to keep teeth healthy? 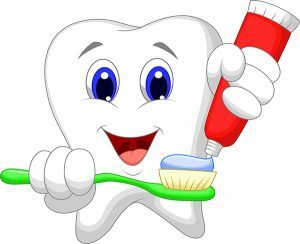 Tips for oral care and dental hygiene: how to keep teeth healthy? Reviews of every day dental treatments for oral health and cosmetic dentistry as well as tooth conserving dentistry. Get back frequently and read what issues regarding your dental health you need to deal with every day to keep away from dentists and we hope these articles contribute to enjoying your healthy smile. Caring for the health of your mouth should be on equal footing with caring for your general health and well-being. Good oral hygiene is not only important for a confident smile, but also for your overall health. Practicing daily preventative care will forestall a wide range of oral health problems, and save you from pain and worries associated with the treatment of conditions that have been left to progress. Our list of oral hygiene tips aims to help you understand the importance of maintaining the health of your teeth and developing good oral hygiene habits. The first step in determining yourself to care for your teeth on a regular basis is to understand the benefits of preventative care. Cleaning your teeth every day and going to the dentist at the required intervals can help you avoid pain that comes with tooth decay, gum problems and dental inflammation. It will also save you money by having to spend less on the treatment of tooth problems that have not been treated in time. Because you have to brush and floss daily, these activities should become second nature. Brushing your teeth two times a day, flossing or using interdental brushes should never be absent from your cleaning routine. Make sure to brush every surface of your teeth, and use a dental floss to dislodge food trapped between your teeth. Apart from your teeth, bacteria can also be present on your tongue and gums, thus, cleaning your tongue with a tongue scraper can help you remove bacteria and the coating on your tongue, which is also a good remedy for bad breath. Alternatively, you can also use mouthwash to prevent tooth decay and to remove plaque and bacteria. Try to avoid eating too many sweets, having sugary drinks, smoking or eating things that may damage the enamel of your teeth (e.g. sour foods, hard candy, etc.). Opt instead for fresh fruit and vegetables, drink water, and try to limit the number of snacks you have between meals. Even if you don’t have bad breath problems or don’t see any cavities on your teeth, make an appointment to your dentist at least twice a year. He can identify any problems that you may have (e.g. small caries, plaque) and treat them before they progress. The same holds true for times when you experience any pain or gum-related problems. Go to your dentist to have it checked out. Postponing going to the dentist can result in tooth decay, dental inflammation, periodontal disease, dental follicles, all of which are preventable. Choose a medium-sized toothbrush with gentle bristles that don’t irritate your gums. Alternatively, you can use electric brushes with an oscillating or rotating head. The type and brand of toothbrush is not as important as thoroughly cleaning your teeth at least twice a day. Make sure your toothpaste contains fluoride in the right amount (at least 1,350 ppm for adults and at least 1,000 ppm for children). Observing the above oral hygiene tips can contribute to the long-term health of your teeth and general well-being. A sparkly smile, healthy teeth, and a good breath can also boost your confidence, and contribute to the health of your entire body.